I am not a huge gamer, the rest of my household is, but I’m not quite there extent. 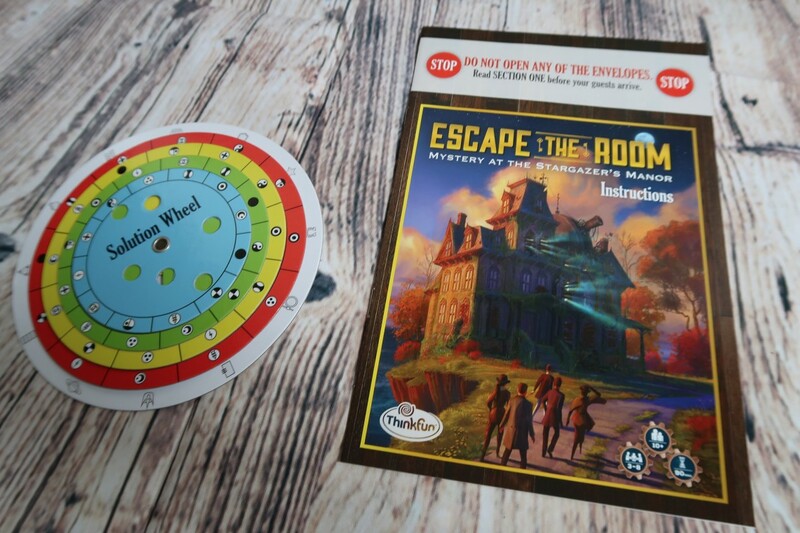 I do however love Escape the Room puzzle games. They are my favourite type of game ever. Ever since The Crystal Maze back in the day, yes old skool one, not this new one. Give me an Escape the Room game and I’m hooked. 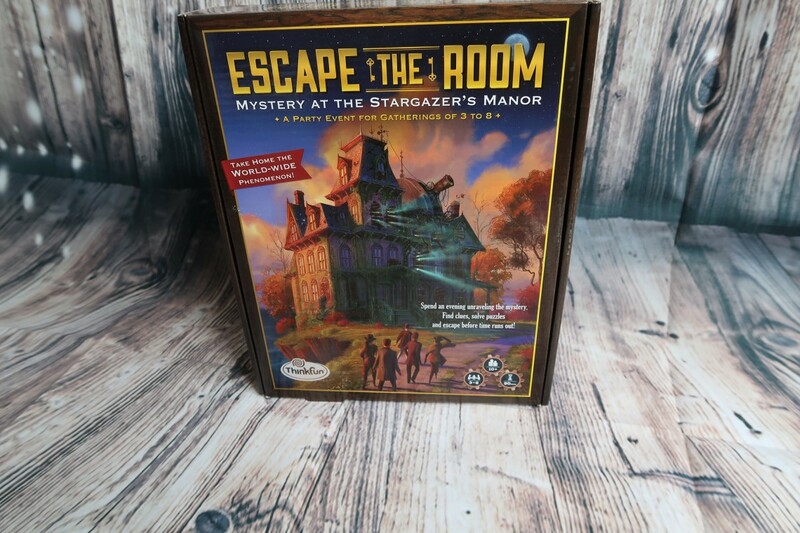 When I came across the Escape The Room – Mystery At The Stargazers Manor Game I knew I had to give it a go. My oldest plays these types of games with me at times, so he wanted to join in and give this a go. The game is recommended for ages 10 plus and 3 plus players so it was ideal. I would like to play this with a group of friends. I think it would be perfect for a night in with a group of friends and a bottle or two of wine. What do you think? Want to join me? This is actually a really difficult game to describe how to play, strange I know, but if you are familiar with these types of games or the live action ones, you’ll know it’s more about the experience rather than the game itself. 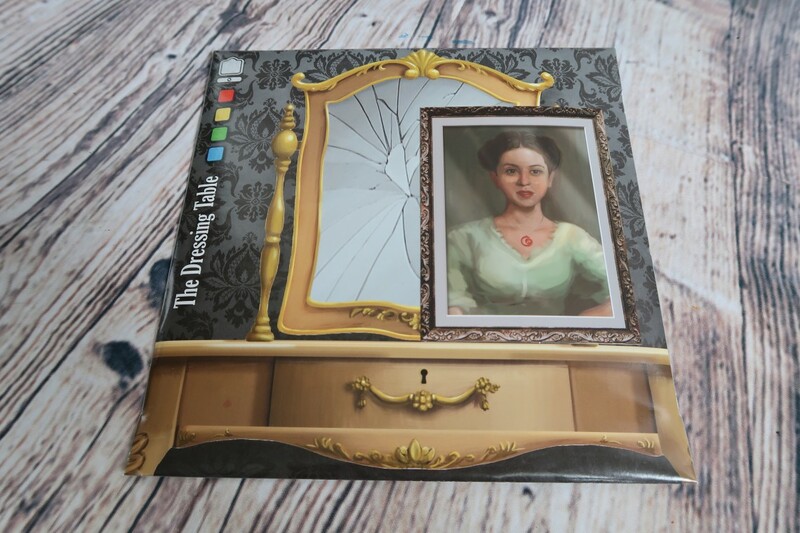 Escape The Room – The Mystery at the Stargazer’s Manor has this done to an art. It really is about the experience and this brings it to life in your own home. To start, open the box and take out the detailed instruction booklet. Once you have your friends or family gathered, it’s time to begin. Don’t open any of the packets yet. Once ready, you read scene card 1 and begin. 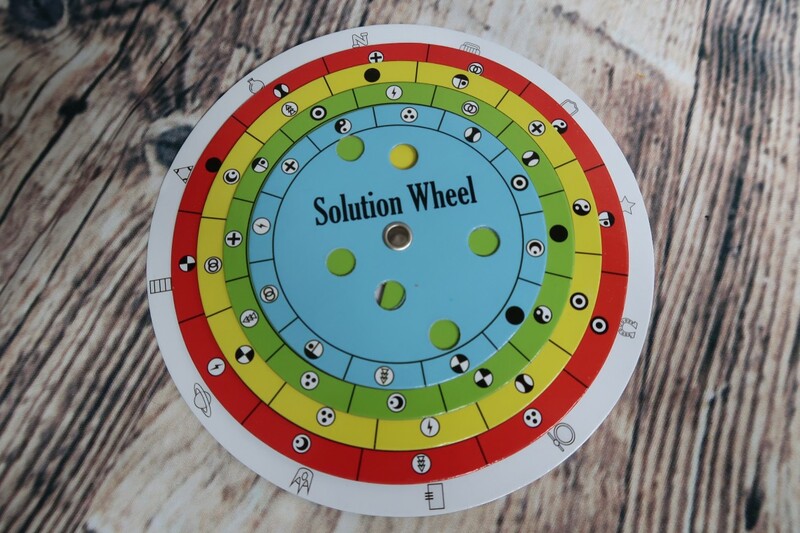 The Solution Wheel is a fantastic addition that let’s you know if you’ve solved a puzzle correctly. Every time there’s a puzzle to solve; turn the dial of the Solution Wheel to set it to the settings you think are correct. If you are correct, there are certain symbols that will match up. If you are wrong, the symbols won’t match up. The game itself is played with a series of tasks, each found in one of the envelopes. Within each envelope there is a puzzle and a symbol on the front. Once you think you’ve solved that one, you turn the dial as described above. If correct, you can now move on to the next puzzle by opening the envelope of the puzzle you’ve just solved. Here’s an excerpt:- “It’s 1869 and the town’s well-respected astronomer has not been seen since the untimely passing of his wife. 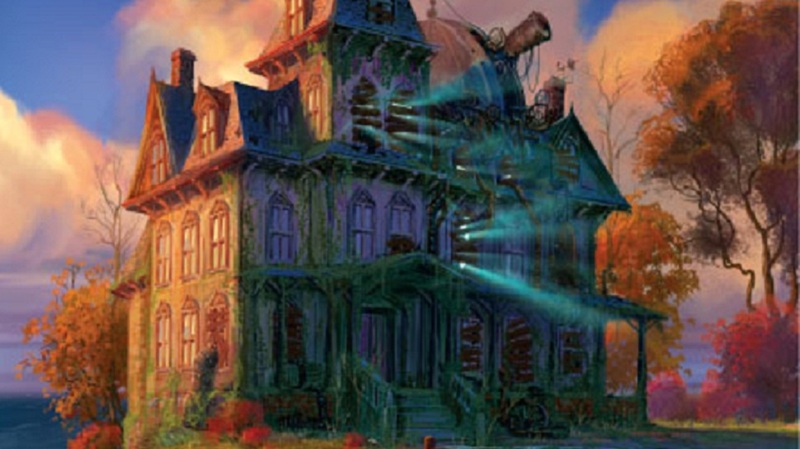 Recently, strange things have been happening at his manor – loud and unfamiliar noises, an unpleasant smell, and smoke billowing from the observatory. 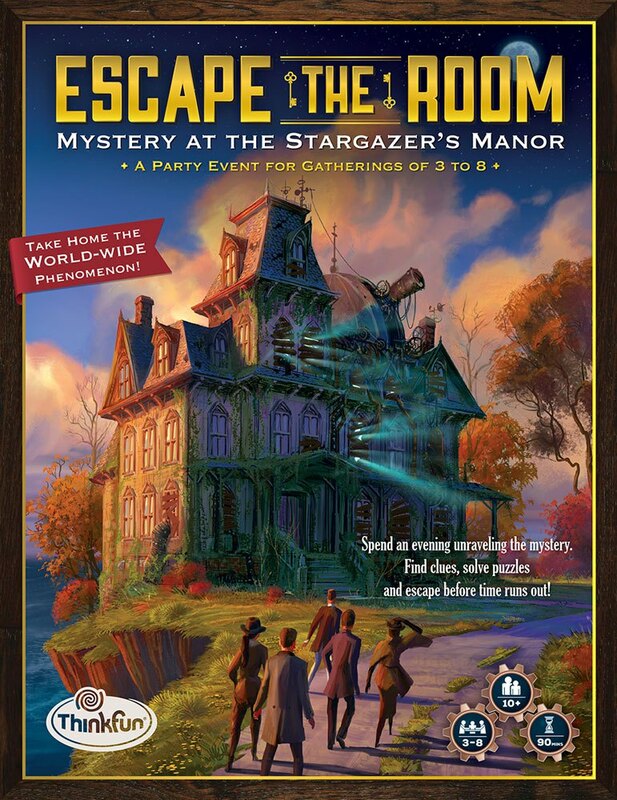 It’s up to you and your guests to solve the mystery at the Stargazer’s Manor!” Cool isn’t it? 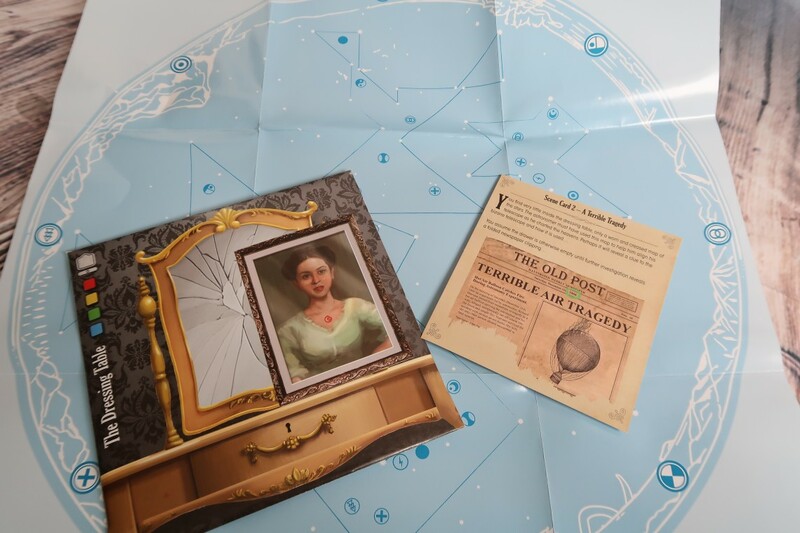 These are the types of items you will find in the envelopes to help unravel the mystery and escape. The 5 envelopes are hiding many secrets. The instructions suggest 2 hours for small groups or 1 1/2 hours for larger groups. Once you reach the initial ending you’re told to reset the timer for 30 minutes to get an optional extension puzzle. We played as a group of three, my oldest, husband and myself. We completed everything in just over an hour. 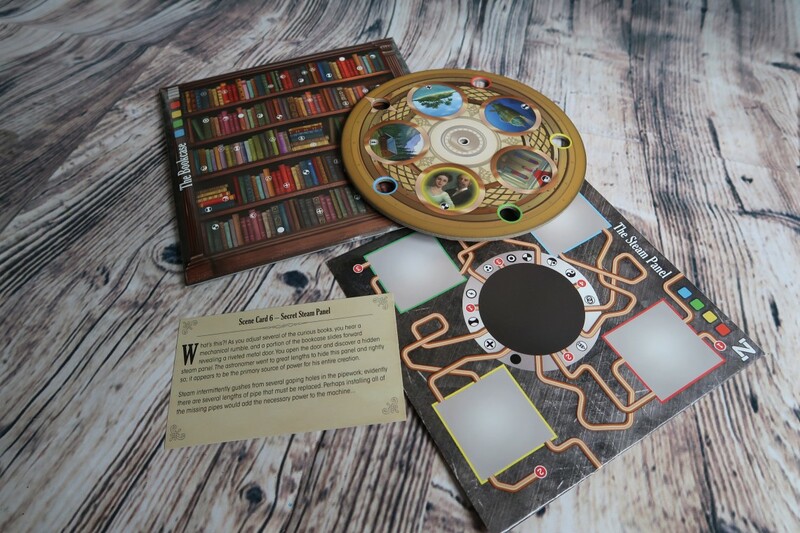 The Thinkfun website has instructions on how to repack the game, back into the little envelopes which is great so it can be played again. It is a fantastic resource with information about music, atmosphere and giving the game the gusto it deserves to make the experience a memorable one. Or if you get stuck the site has hints to the game. Not all of the challenges were hugely taxing, but some were that wee bit more complex, keeping us interested and enjoying solving the puzzles. There is a couple were the pieces don’t into play until later on. I loved that the story is simple. The games is written in an old fashioned style, but simple enough you can understand it. The puzzles are complex, but not too challenging that you are left demoralised. I also liked that the host can join in. It’s fun for the family, but older members, it is more suited to. The puzzles aren’t for younger members. What I didn’t like was that you couldn’t play it very often, if at all after you’ve solved it. I would like to have seen it have different options to be able to play it again with a different outcome. I think you could wait a while and play again. I know I will be. It is fun and I loved all the different envelopes and puzzle solving. And of course an unexpected twist. I think this is a fantastic game to play and get family and friends involved. This is the type of game I love and can’t wait to buy others in the series. 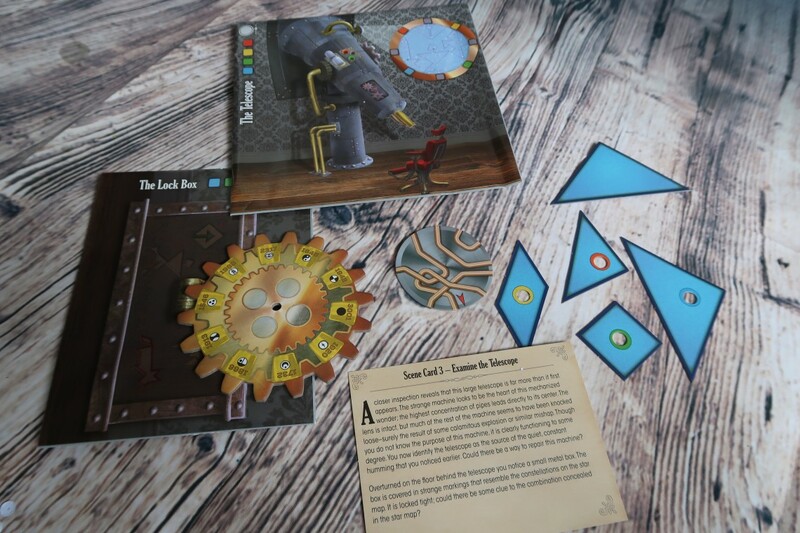 At an RRP of £20 I think Escape the Room – Stargazer’s Manor is good value and a lot of fun. Can you escape? Check out other reviews of the games at Bluebear Wood and The Brickcastle. Disclaimer:- I was sent a copy of this game for review, but all thoughts and opinions are my own. I have not been compensated in any way for this competition. I would play with my grandchildren.